UNITE Corporation, which offers health and wellness services to schools and communities, will offer its “Arrive Alive” tour programs from 8:30 a.m. to 3 p.m. Wednesday and Thursday at Montezuma County Fairgrounds, 30100 U.S. Highway 160, in Cortez. 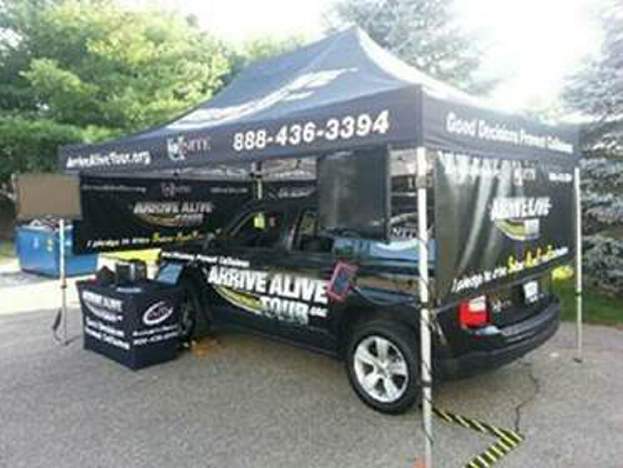 The event, sponsored by Dolores County and Students Tackling Unhealthy Decisions, will include a high-tech simulator, impact video and other resources to educate community members about the dangers of texting while driving and driving while intoxicated. The simulator allows people to experience the possible consequences of driving impaired or distracted in a controlled environment. For more information, call Todd Betzold at (888) 436-3394, ext. 6388, or visit www.arrivealivetour.com.